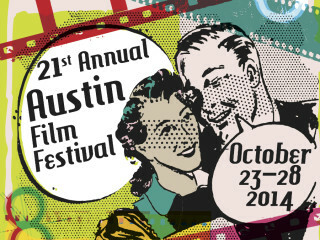 One of Austin's most prestigious film festivals commemorates their 21st anniversary with another celebration of the films we love and the brilliant minds behind them. Austin Film Festival screens not only internationally renowned movies but projects made right here in our own backyards. The conference also pays special tribute to the writers of these works, as they directly engage with fans in panels and discussions on making it as a screenwriter. Venues include the Paramount Theatre, Alamo Drafthouse Village, Long Center Rollins Theatre, Hideout Theater and the Bob Bullock Texas State History Museum IMAX Theater while the Conference panels take place at the Driskill Hotel and Intercontinental Stephen F. Austin hotel.